We have already learned about pozzolana reaction in concrete. These materials may be natural and artificial. The artificial pozzolana that is well known is fly ash. We have published many posts about fly ash and will publish several posts regarding fly ash in this blog. Here our concern is natural pozzolana. At first pozzolana meant to volcanic ash. This volcanic ash was used by Romans in Pozzuli. Pozzuli was a city of Naples province in Italy region. The original volcanic ash is pumicite. ASTM C618 defined above materials as class N. With these, rice husk can also be used as pozzolana for concrete. We have discussed about the application, properties and limitation of these in the previous post. There have pozzolanic cements which contains certain content of pozzolana which needs not to add separate pozzolanic materials. We will discuss this later. The physical properties of such pozzolanas results problems like these materials are angular and are also porous which requires more water to have optimum workability. To avoid these problems some improvement techniques we applied. The most common is calcinations of them between (500-1100)0C; the temperature depends on the matter to be improved. Dear reader we are finishing this topic here. 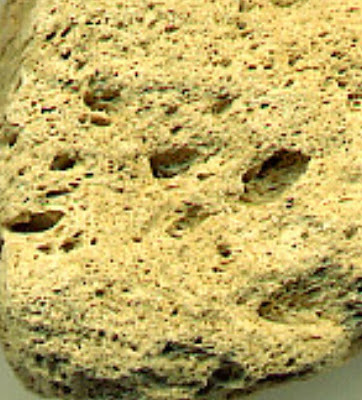 In the next post we will discuss calcined kaolinite clay to be treated an pozzolanic materials for concrete.